Today the study “U.S. 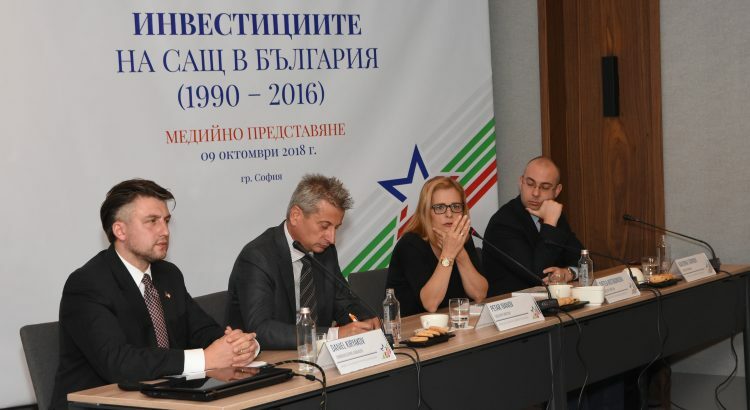 Investments in Bulgaria (1990 – 2016)” was presented by Mr. Peter T. Ivanov, Executive Director of the American Chamber of Commerce in Bulgaria and experts from the Institute for Market Economics (IME). “The U.S. investments in Bulgaria are highly statistically underreported. The new data shows that the actual data of the American investments till 2016 are at least BGN 4.5 billion, which is at least 2.5 times higher.” – said Petar T. Ivanov. Petar T. Ivanov, AmCham Bulgaria Executive Director, addresses the journalists at the Media Breakfast presentation, October 9th, 2018, InterContinental Hotel Sofia. “They include fixed tangible assets, net revenue, and number of employees. There are at least 28,600 people working in U.S.-owned companies. The share of the United States in all of the foreign direct investments in Bulgaria is 5.7%, which is at least two times higher than in the current official data. In the end it turns out that the USA is already the sixth largest investor in our country according to the end owner of the capital, “- underlined Mr. Ivanov. This is the first-ever analysis of the U.S. investment in Bulgaria for a quarter of a century. It was prepared by the Institute for Market Economics, upon request of AmCham Bulgaria with the support of the U.S. Embassy in Bulgaria and the America for Bulgaria Foundation. The main purpose of the report is to underline the significance of the trade relations between the United States and Bulgaria. 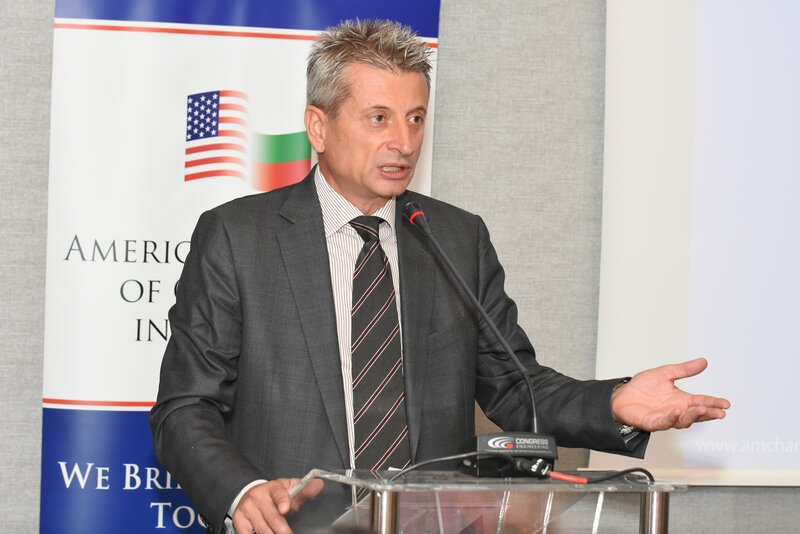 Thus, the American investments are of great importance both for the national economy and for the Bulgarian regions ever since 1990, with main focus on four sectors of the economy: Processing Industry, Information Technology and Communications, Energy, and Agriculture. In each of these sectors, the share of U.S. investments is at least 10% of all foreign investments, with Agriculture taking 24%. These investments are represented in Bulgaria by some leading American brands that shape the reputation of these sectors. Regions such as Sevlievo, Razgrad, Stara Zagora, Gabrovo, Sofia and others have been developing sustainably for years thanks to the work and investments of American companies there. The scope, methodology, findings, and main conclusions of the analysis were presented by Dr. Svetla Kostadinova, Executive Director of IME and Kaloyan Staykov, Senior Economist. AmCham Bulgaria thanks to all the members that supported the production of the report and its publishing.